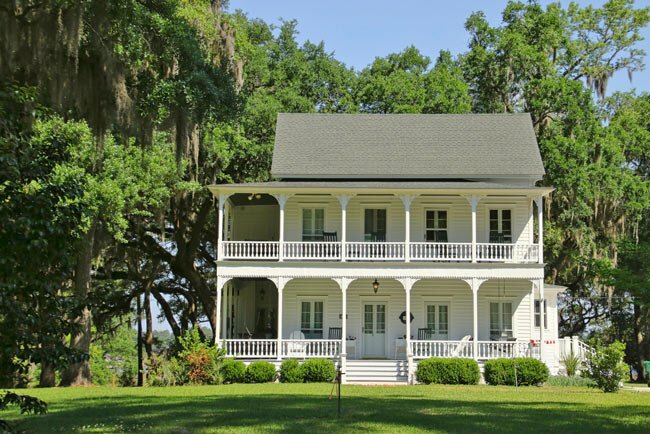 McLeod Farmstead was historically known as Seabrook Farms and is currently called Rest Park. William Hardee “W.H.” McLeod began acquiring land in and around Seabrook – a community about ten miles north of Beaufort – in the 1880s. Though much of the land he purchased had been farmed prior to the Civil War, McLeod and his son, Claudius Eugene “C.E.” McLeod, began using the land for “truck farming” in 1884. Market farming, or growing food to be sold locally, had been the farming model widely used prior to the advent of the railroad system. When the Port Royal-to-Augusta Railroad established a stop in Seabrook around 1875, McLeod turned to “truck farming.” This new model allowed farmers to harvest their crops, package the produce on site, and send it on refrigerated rail cars to be sold remotely. W.H. McLeod strategically located his headquarters along the railroad as well as the Whale Branch River, allowing his produce to be shipped by train, boat, and eventually by trucks. He called his business Seabrook Farms and built the grand home seen above in 1905. The home’s two-story porch wraps around the side of the house, which boasts a bay window. Today the house serves as a residence for the current owners of the farm, now called Rest Park. The owners are descendants of W.H. McLeod. The above structure with boarded windows is known as the Keyserling Store. The store was built around 1880 and stands on land once owned by the Keyserling family. When the McLeods bought the tract in 1921, they retained the building, as it faced the railroad. During the Keyserlings’ ownership of the building, the circa-1900 addition on the left served as a post office. Though the McLeods had built their own general store shortly after the now-demolished railroad depot was erected around 1875, they kept the Keyserling store, which served as a social spot for farm workers during the evening hours. The storage barn pictured below was also original to the Keyserlings. It was built around 1890 and was conveyed to the McLeods in 1921. Other buildings, both new and historic, grace the grounds of this working farm, including the old McLeod barn, seen below. The barn, built around 1885, is one of the largest structures on the property. The McLeods also reused existing buildings; the packing shed (not pictured) was built around 1870 and moved from a defunct phosphate mine to Seabrook Farms in 1893. (Phosphate mining was a post-Civil War industry that many former planters hoped would replace rice. It was unsuccessful for the most part.) An ice house was added to the packing shed in 1950. The supervisor’s joint house-and-office, pictured below, was built in 1945. The building has two entrances; the side entrance accommodated residents of the home, while the front door served as an entrance to the office. The home, built of asbestos siding and standing on brick piers, is one of the newer buildings on the McLeod Farmstead. Seabrook Farms planted its last crop in 1984 – 100 years after W.H. McLeod began his venture. Urbie West, a fifth-generation farmer and great-great grandson of W.H. McLeod, has revitalized the farm in recent years and now operates Rest Park Farm with his son, Ashby. Rest Park spans over 1,000 acres – though not all of it is agricultural – and Rest Park Farm is the home of Pinckney’s Produce, a CSA (community-supported agriculture) program that continues the farm’s long tradition of delivering fresh produce. Two movies have taken advantage of Seabrook’s charm. Both Animals with the Tollkeeper (1998) and The Legend of Baggar Vance (1999) were filmed here. In The Legend of Baggar Vance, Seabrook served as the birthplace for Will Smith’s character. 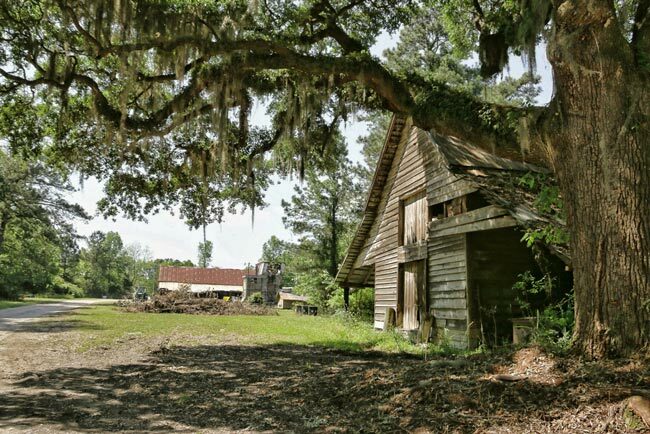 The McLeod farmstead is significant to the broad patterns of agricultural history in the Lowcountry region of the state. 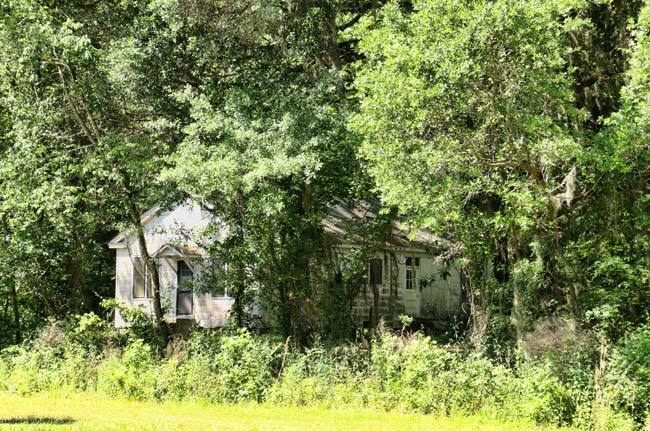 This rural area had been farmed extensively prior to the Civil War, but this property gained significance as a part of the truck farming economy that spread through the region between 1884 and 1946. 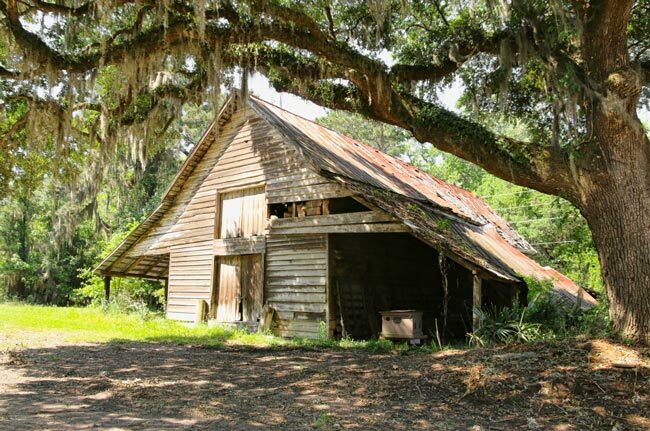 Because this farm continued to be used until the late 1970s, most of its agricultural structures remain. The McLeod farmstead is one of the best extant examples of a truck farming complex in the state. 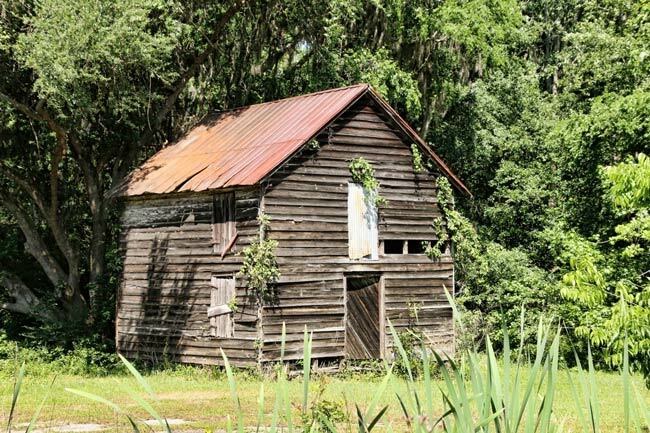 Its collection of farming structures, stores, and residences provides and excellent glimpse into the workings of a South Carolina truck farm which was active from the 1880s through the 1960s. There are thirteen extant buildings and one structure in the complex. Eight buildings and one structure are associated with farm operations. These buildings provided spaces for the sorting, packing and shipping of the various agricultural products that came from the farmstead. 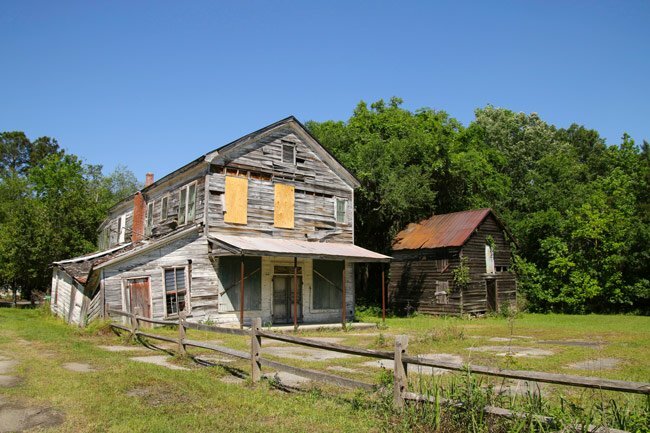 Two of the buildings served commercial purposes: The McLeod general store and the Keyserling general store. There are also three residential structures. One, the McLeod House, is a large home that was clearly that of a wealthy farm owner. Another dwelling is a two-room shack which likely housed farm workers. The third dwelling served a dual purpose. It was the residence and the office of the farm supervisor. The setting of this site remains rural, although it is within close proximity of Beaufort. Hello, I am an African American who has the last name McLeod. I was wondering if there are records of any slave records of the plantation who may have taken the name after Reconstruction. My family is from the Bishopville/Hartsville area. Also, are the McLeods in the Florence area related? I found you website quite by accident. Enjoyed looking very much. I am a 4th generation on the McLeod Farmstead. I know of the Mingledorffs in my past history. I would very much like to get together with Henry Mingledorff and other members of my family to learn of our past. Please pass my name and address along to him and hopefully he will contact me. Growing up at Seabrook was wonderful. I’m still here in the McLeod House. That is wonderful, Henry, and we wish you the best of luck! Please let us know if you find any new info we should at to this entry on the McLeod Homestead. We hope to make this guide to McLeod the best and most thorough available, and your contributions are greatly valued! Thank you! My great-grandfather, Doctor Ozias George Mingledorff, married Nellie Serina McLeod in the early 1880s before traveling to China with him as a methodist missionary. I am son of George Henry Mingledorff Jr., who was son of George Henry Mingledorff Sr., son of Ozias George Mingledorff and Nellie Serina. I am assembling data on our extended family and desire to gather info on the McLeod family. I am delighted to meet with members of the McLeod family to gather that info and renew contact with you, my relatives, at your convenience. I pray that you may have a Happy Christmas and a grand New Year. They also filmed the Legend of Bagger Vance there. We visited there in 1953 when I was 9, on a trailer trip from San Diego around the USA. Our next-door neighbors, Billie and H.O. Durham, were old friends of the McLeods and urged us to stop and see them. I love that it is still there and in use. I had the pleasure of being inside when I was 15 years old (58 years ago) and what I remember most was the phone with a crank and mouth piece mounted on the wall, plus the seperate ear piece.